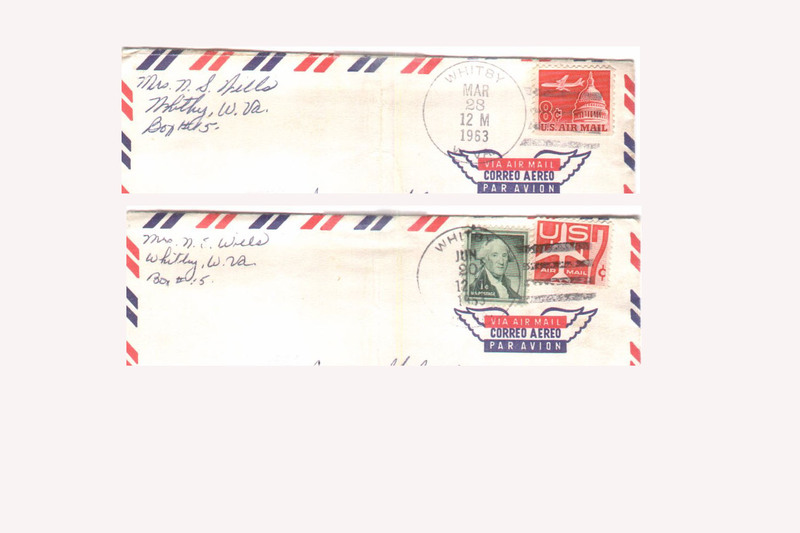 Thanks to Jackie Dedman, we now have something I have always wanted folks to see: Whitby postmarks! This image and page set will be dedicated to Thelma Wills Fowler. The mail in Whitby was and still is a puzzle to me. The image below is a wonderful document that is to me an artifact of the Whitby Post Office. However, this is a DRAFT page set and there will MANY changes. I hope to show how a person typically mailed and phoned someone in Whitby. Thanks also to my Mom and others who have pointed out that mail in Whitby was as much social as it was needed. Folks went to the Post Office to say hello and often, they knew there was no mail for them. I wish we had that in our lives now. In fact, going to the Post Office was part of the way of life I am still trying to recreate here.